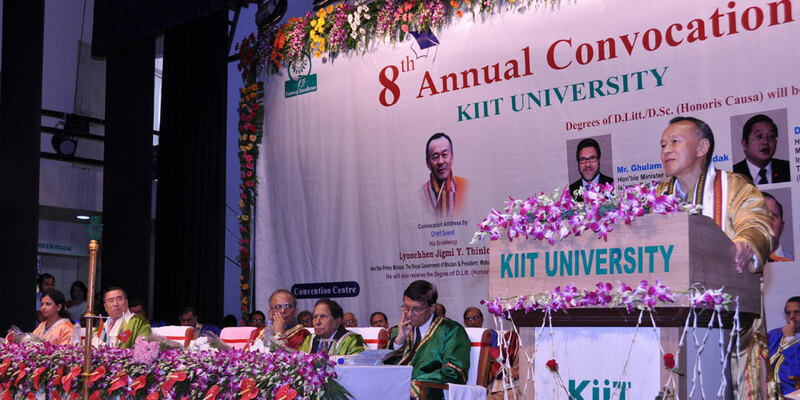 His Excellency Lyonchhen Jigmi Y. Thinley, Hon’ble Prime Minister, The Royal Government of Bhutan offered a new perspective of life – pursuit of happiness – to the graduating students of KIIT at its 8th Annual Convocation on September 9. 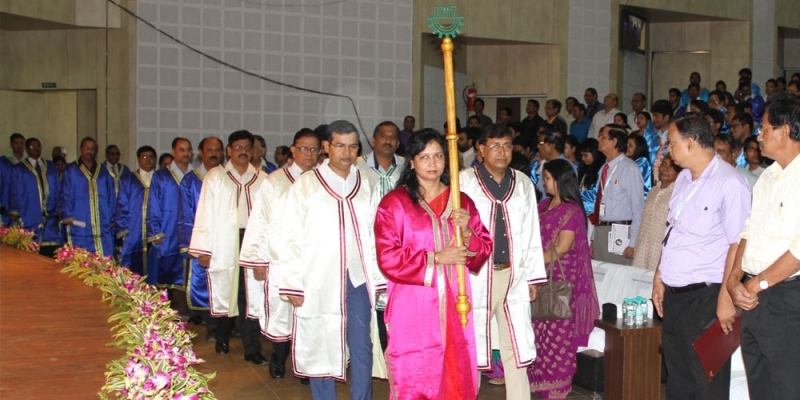 He graced ceremony as the Chief Guest. 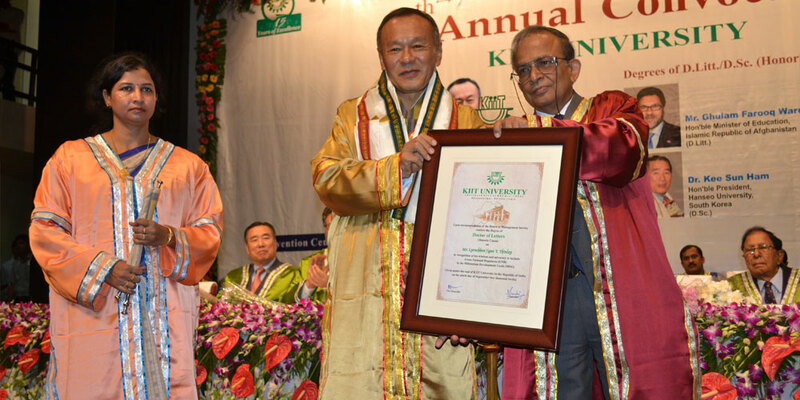 Obsession with growth has brought our environment and civilization to the brink, said Mr. Thinley in his convocation address, while emphasizing that the world is in desperate need of change. 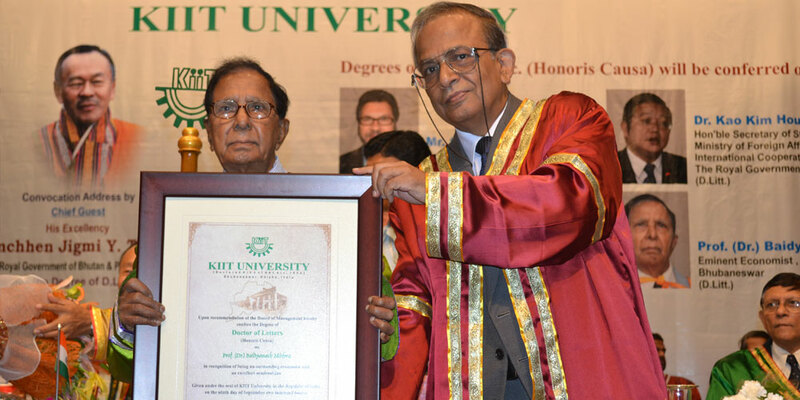 He was also conferred the Degree of D.Litt., Honoris Causa. 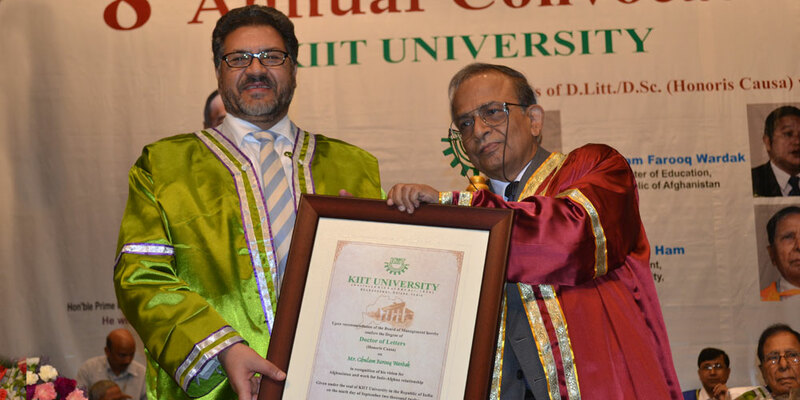 Three other eminent personalities from India and different parts of the world were conferred degrees of D.Litt. / D.Sc. 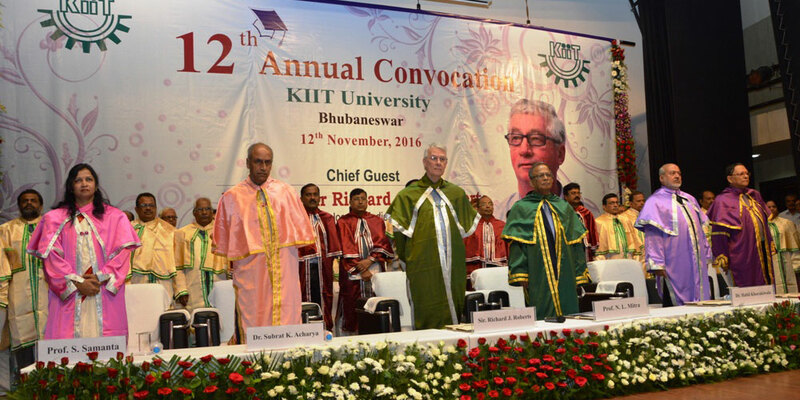 by KIIT on the occasion. 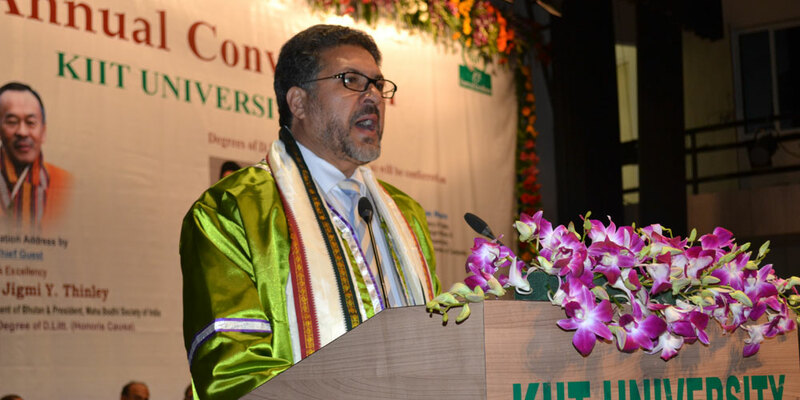 The recipients of Honorary Degrees are – Mr. Ghulam Farooq Wardak, Hon’ble Minister of Education, Islamic Republic of Afghanistan (D.Litt. 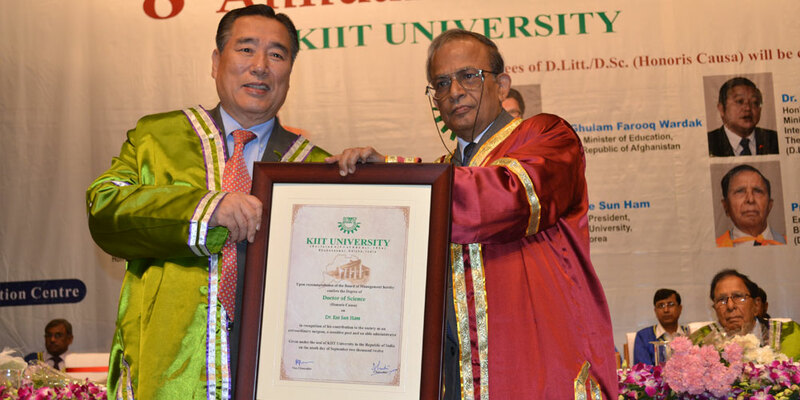 ), Dr. Kee Sun Ham, Hon’ble President, Hanseo University, South Korea (D.Sc.) 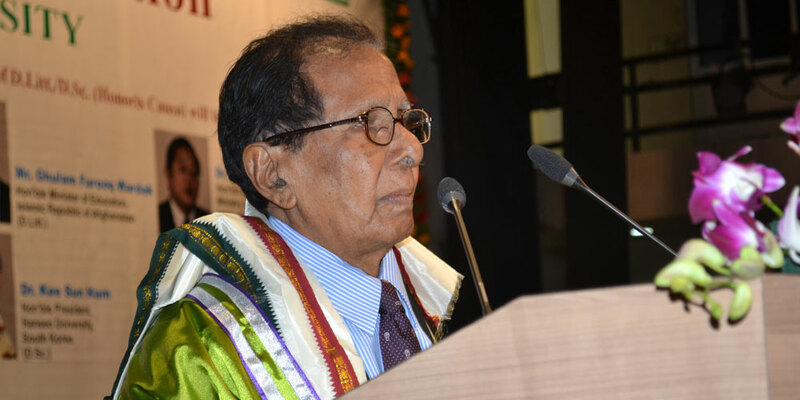 and Prof. (Dr.) Baidyanath Mishra, Eminent Economist, Bhubaneswar. 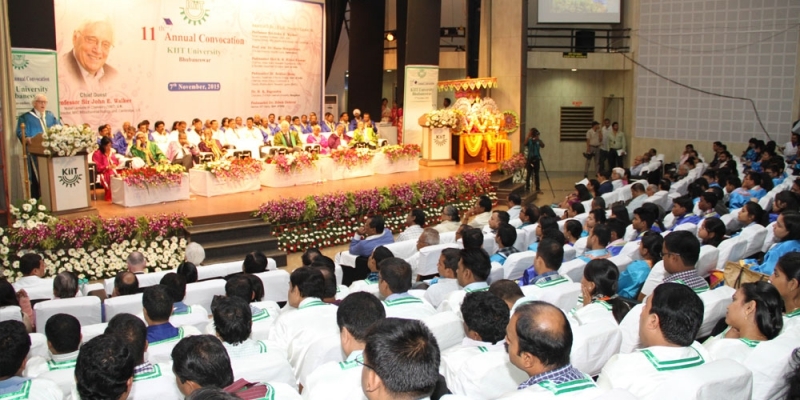 “We have become less of human being, and more of economic entity. 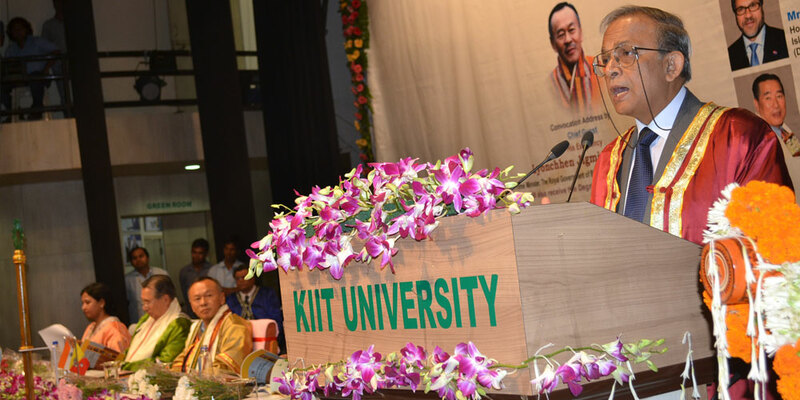 We need to reclaim our society from the market forces”, the Bhutanese Prime Minister said. 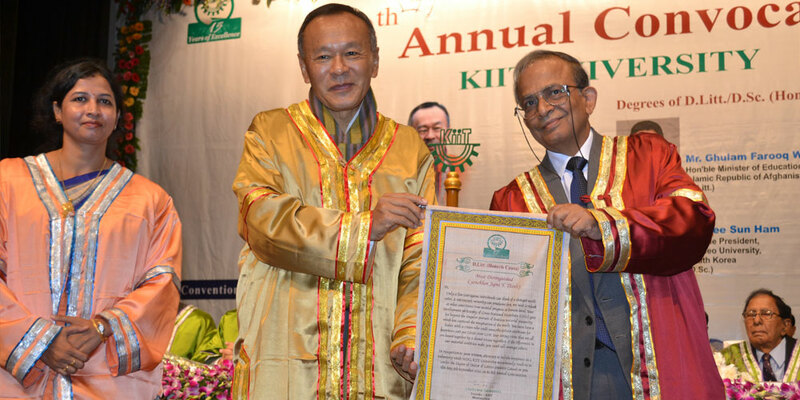 Happiness comes from balancing needs of the body with those of mind and it thrives only when people around are also happy, said Mr. Thinley, who has won world appreciation for proposing Gross National Happiness (GNH) as an alternative development paradigm and advocating its inclusion as the ninth MDG. 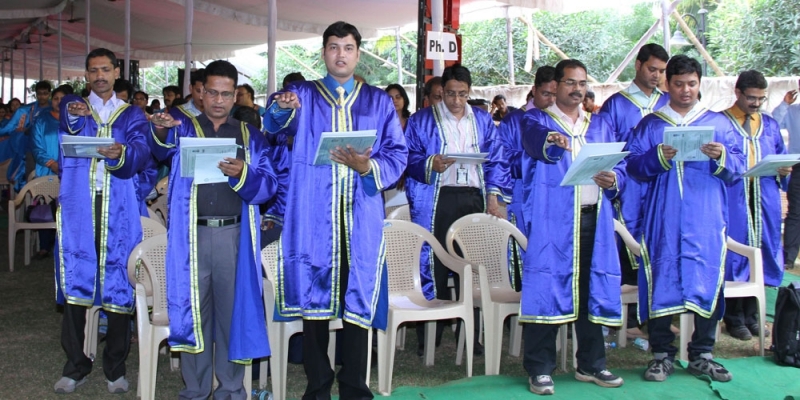 He advised the students to serve the society and exhorted them to make a beginning by serving their parents and protecting the institution of marriage. 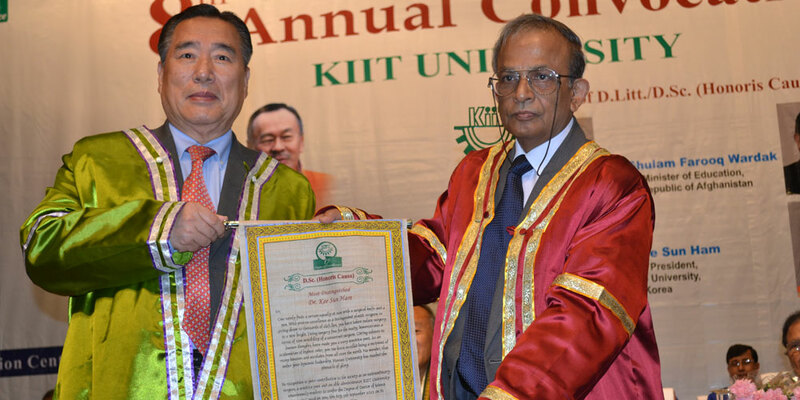 Mr Thinley thanked the University for bestowing on him the Degree of D.Litt., Honoris Causa. 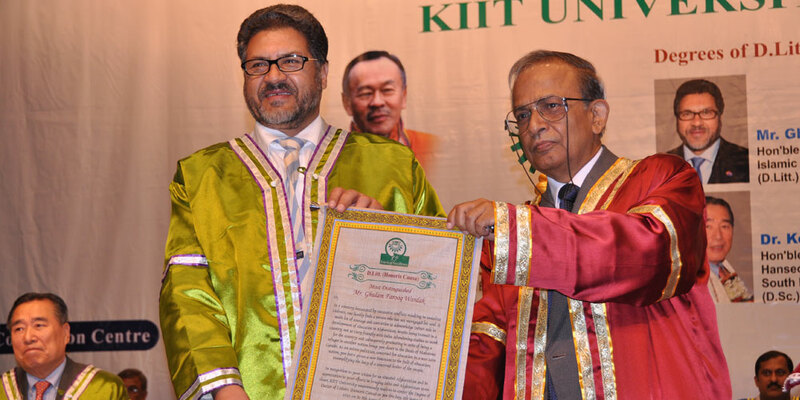 The honour is recognition of his contribution for the betterment of man, said Mr. Wardak in his acceptance speech. 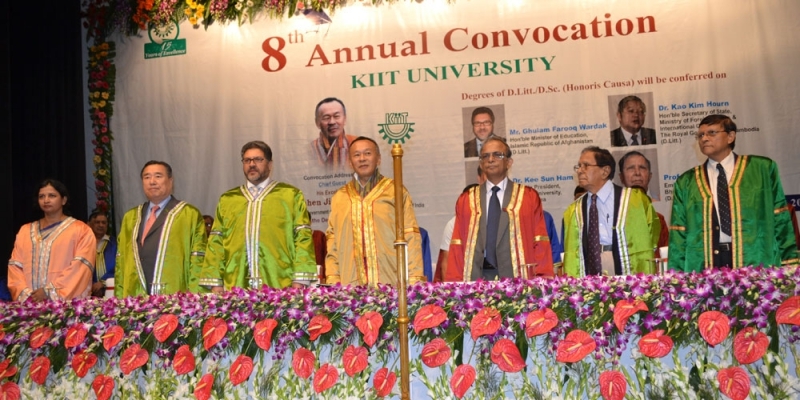 “After visiting KIIT & KISS, I have learnt that one single individual, even if he had a deprived childhood, can change the world with his dedication”, he said referring to Dr. A. Samanta, who single-handedly established KIIT , a leading institution of professional education in India, and Kalinga Institute of Social Sciences (KISS), the largest free residential tribal institute of the world. 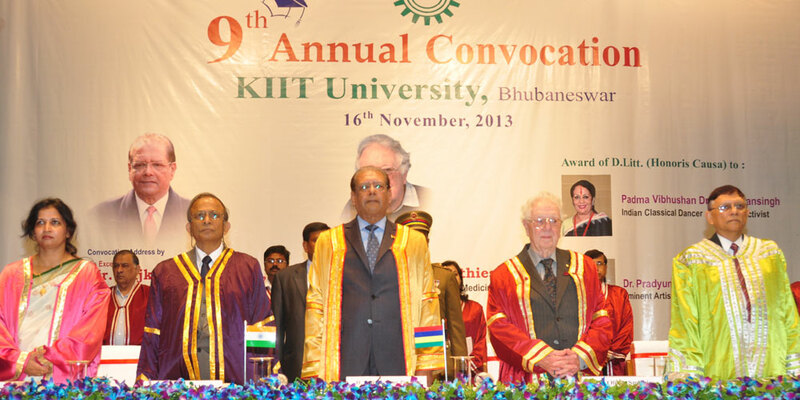 Dr. Ham congratulated the recipients of Honoris Causa degree and graduating students of KIIT . 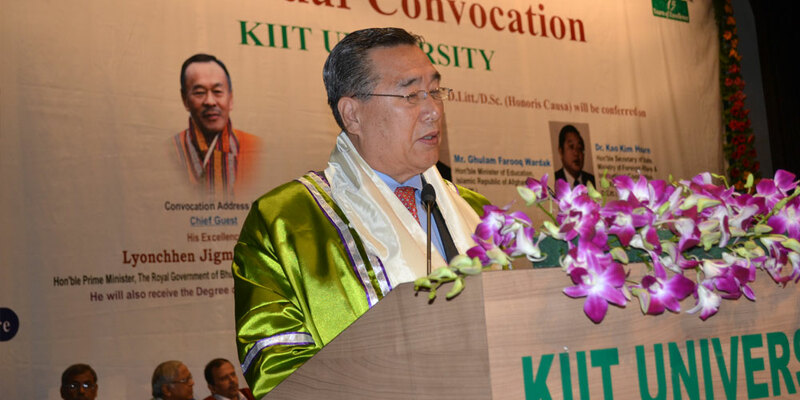 “I developed interest in India after watching a movie on Mahatma Gandhi, when I had just passed my medical course”, he said, adding that Dr. Samanta treads the path shown by Mahatma Gandhi. 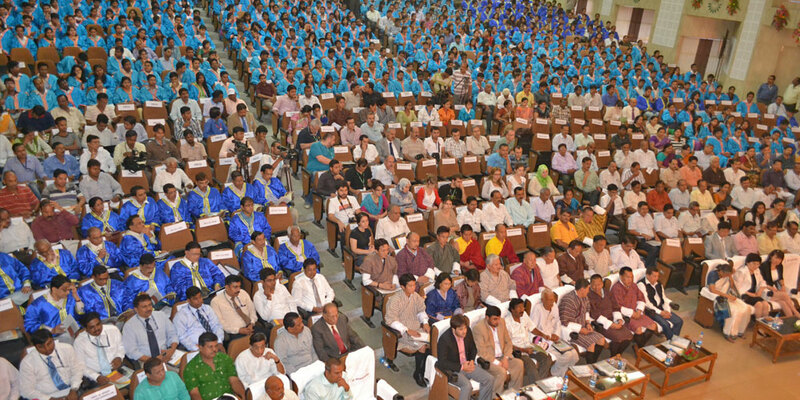 India, one of the ‘youngest’ countries of the world, has achieved remarkable progress in the field of education, Prof. Mishra stated. 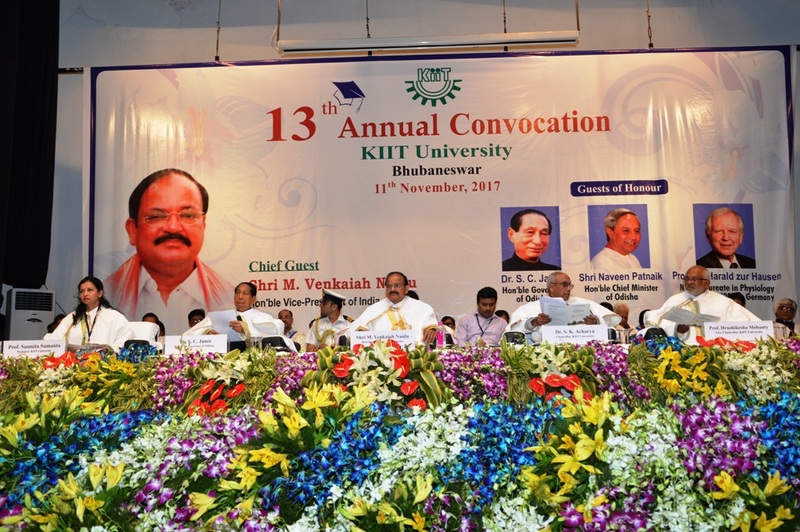 However, need of the hour in education sector is modernization, quality improvement and teachers’ training, the nonagenarian economist added. 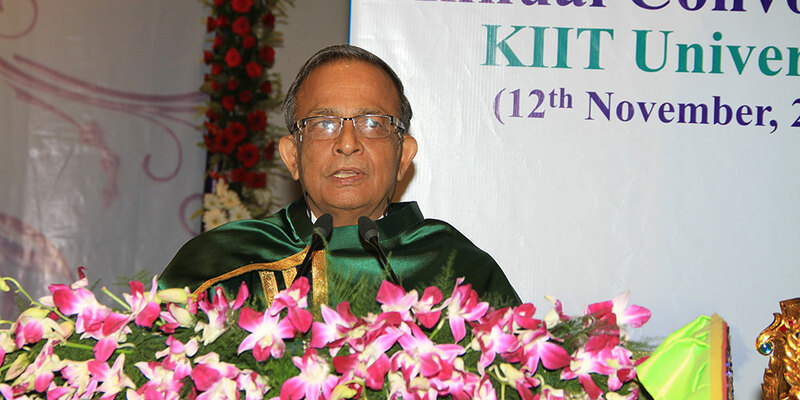 Expressing best wishes to the graduate students, Prof. N. L. Mitra, Chancellor, KIIT , in his presidential address, advised them to keep some space in their minds for the underprivileged children. 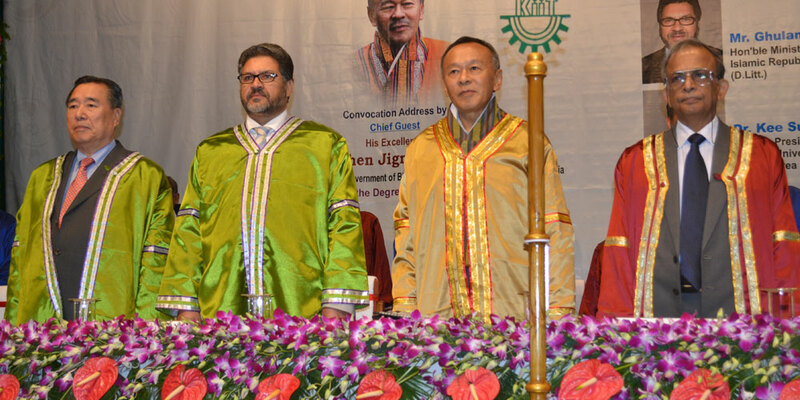 Observing that global economic gloom is affecting Indian economy, he asserted that higher growth rate can be achieved by focusing on agriculture and the agriculturists. 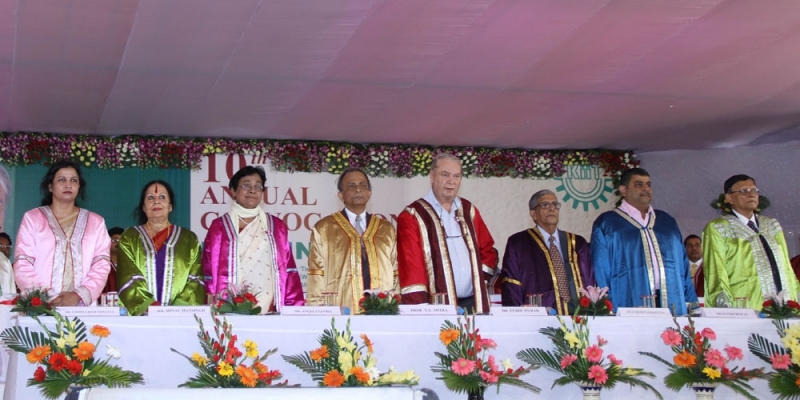 Earlier in his report, Vice Chancellor, Prof. P. P. Mathur said that the University has taken initiative to give impetus to research on the campus. 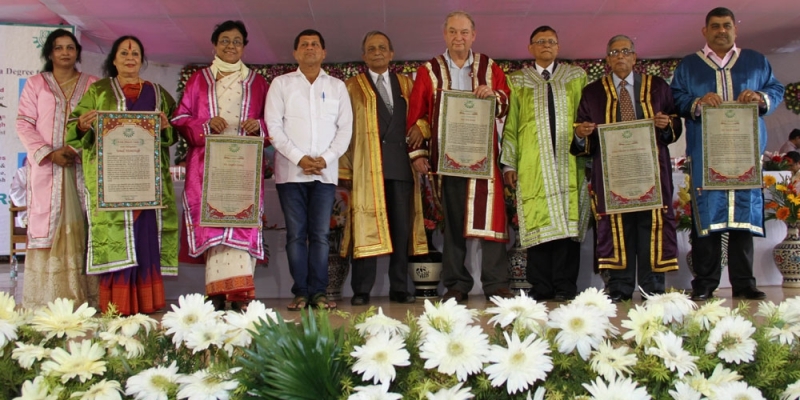 During the last year the University has taken rapid strides in the area, he said, informing that more than 14 research projects from various national and international funding agencies have been sanctioned with a total budget outlay of over Rs. 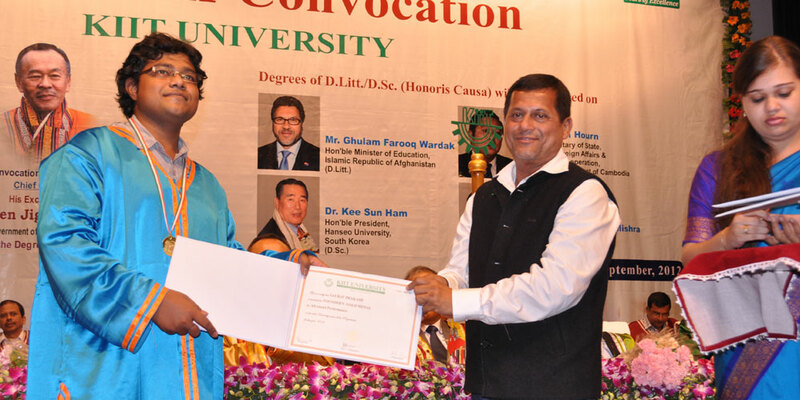 4 crores. 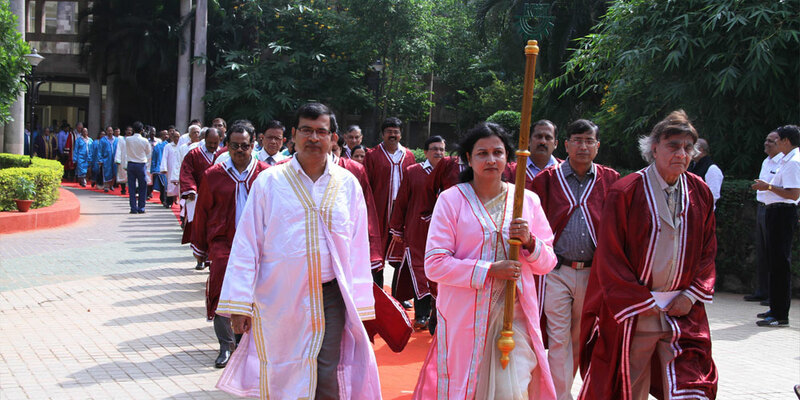 The University has achieved 100% placement for the 2012 passed-out students, he added. 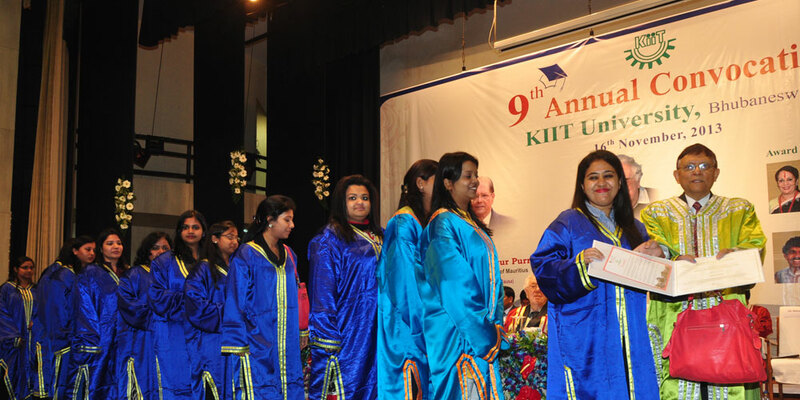 Total 2,216 graduates were awarded graduate and postgraduate degrees in various disciplines. 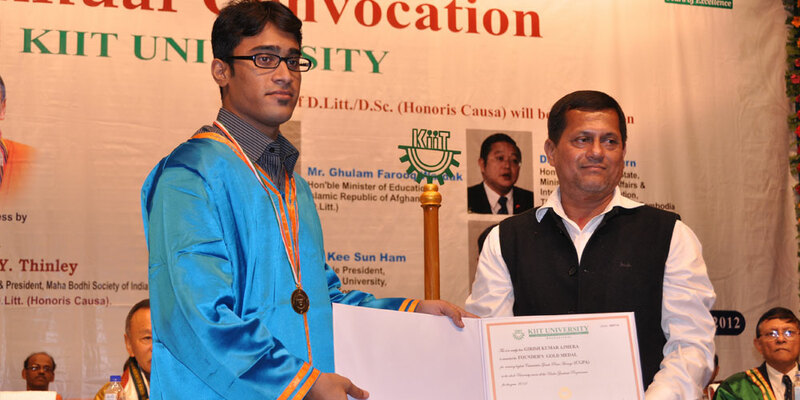 Saurav Prakash, B.Tech (CSE), Abhaya Kumar Sahoo, M.Tech (CSE) and Girish Kumar Ajmera, B.Tech (E&TC) won Founder’s Gold Medals for securing the highest CGPA across all programmes, in postgraduate courses and in undergraduate courses respectively. 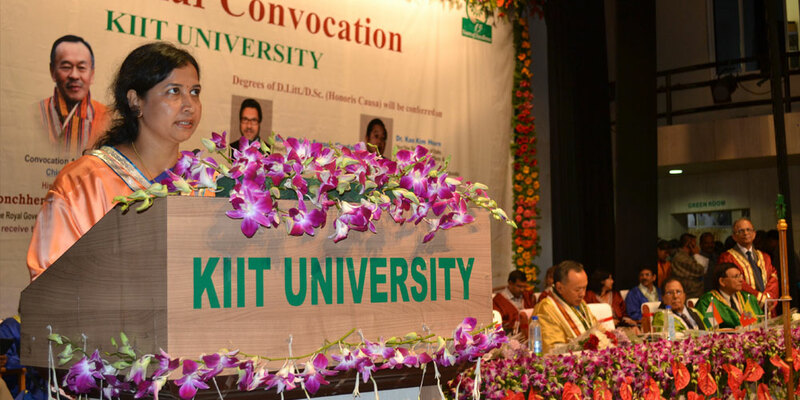 Similarly, 12 students were awarded Chancellor’s Gold Medal, while 15 students got Vice Chancellor’s Gold Medal. 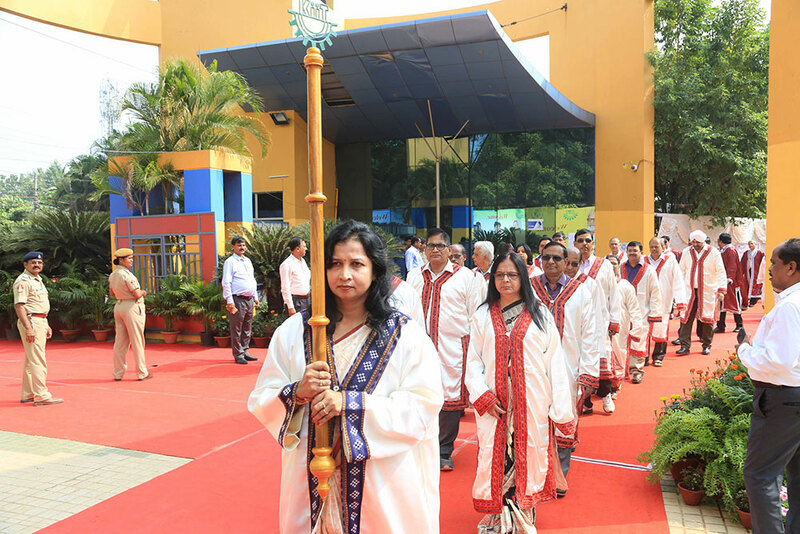 P.K. 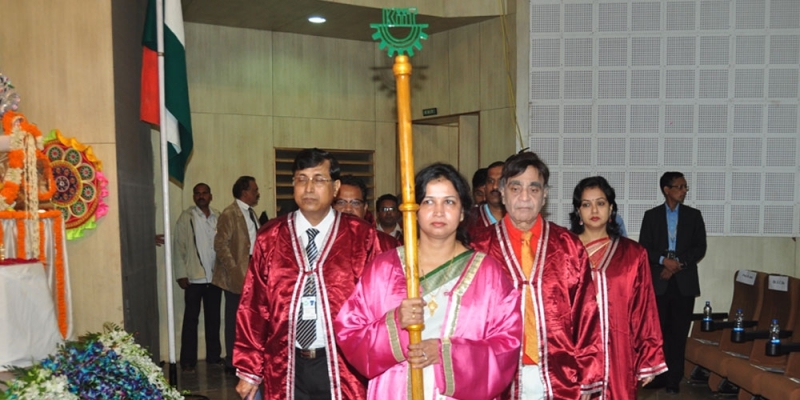 Bal Memorial Gold Medal, PPL Gold Medal and Nanibala Memorial Gold Medal were also given away on the occasion. 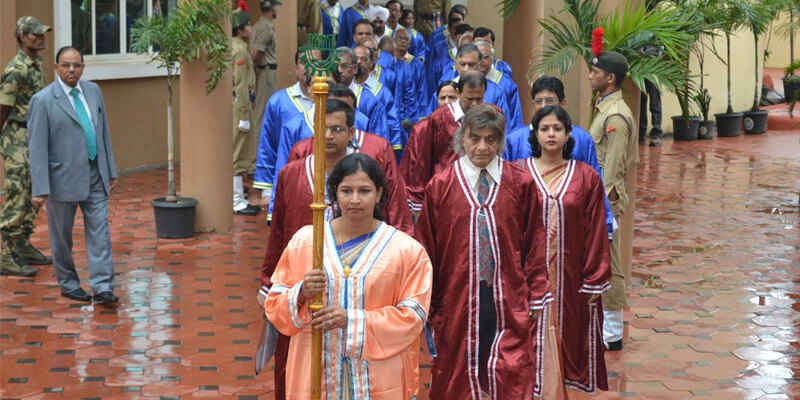 Eighteen research scholars were awarded Ph.D. degrees.